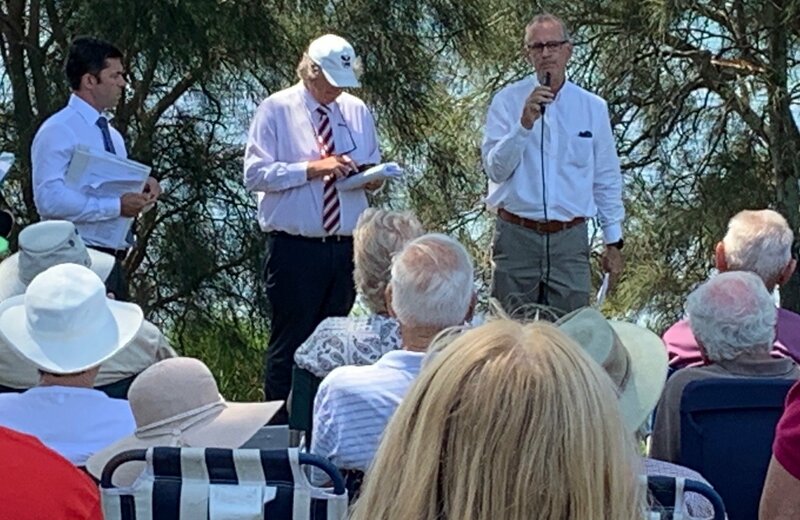 It was great to see about 250 people attend the on-site court hearing today over the planned helipad at Trinity Point. There are many people who would be affected by the helipad and I support what I believe to be the majority in their opposition for a number of reasons. As I told today’s hearing, I have concerns about the impact of a helipad on local fauna, the potential for a catastrophic incident should a helicopter crash in that vicinity, the alienation of space on the water when helicopters are moving in and out of the area, and above all else, I have concerns about the noise impacts on everyone who lives in the area. People chose to live here because it’s a quiet and serene place. For those people, this helipad would be a kick in the guts. Unless perchance the developer voluntarily withdraws the application, a decision is now in the hands of the Land and Environment Court.